Volunteers from HM Coastguard Flint had a busy evening yesterday with calls to incidents in Rhyl and the Wirral. Responding to their twelfth call-out of 2019 and the first of two within a space of a few hours, the team were scrambled just after 7pm on Friday to reports of a kite surfer missing in the dark off Harrison Drive in New Brighton. Two RNLI Lifeboats and the Hoylake based RNLI hovercraft were also called to help with a search. 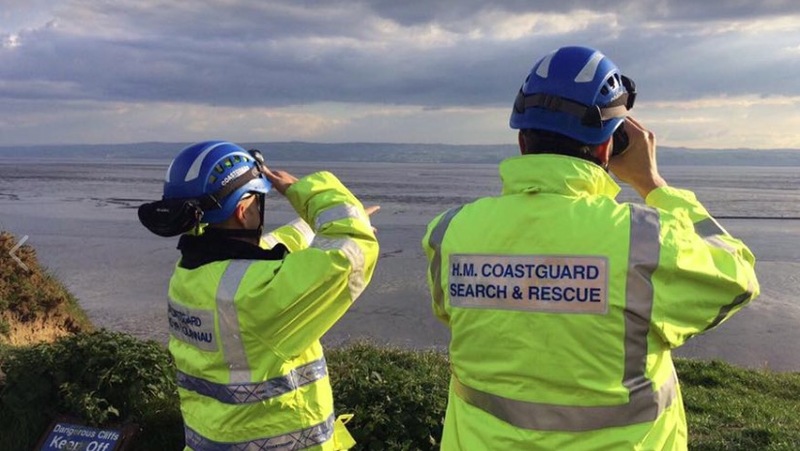 “Shortly after the search commenced, it became apparent that the kite surfer had drifted and come ashore near to Fort Perch Rock and was safe and well. With this news, all search and rescue assets were stood down.” A spokesman for Flint Coastguard said. Within two hours of their return back to the Chester Road base, the rescue team were requested by UK Coastguard for further assistance this time with an incident in Rhyl. They joined colleagues from Rhyl Coastguard Rescue Team after police reported of a person had possibly entered the water in Rhyl, an RNLI inshore lifeboat was also called in to assist. “Again this was another great example of multi-agency teamwork.” Jay added.